Pages xi+164p, bib, ind, 23 cm. Pranava or AUM is an important hymn discussed by most of the Indian philosophical schools. While other schools describe this as either a symbol of God or a path of self realisation, Tantra Sastra interprets Pranava as 'sabdabrahman'. It elaborates from the state of sound formation to self realization. Even though there were earlier studies dealt with this particular subject, this study focuses on how these interpretations differ in its own way. 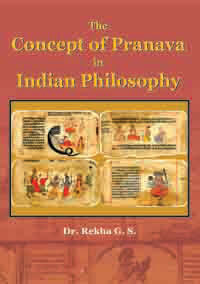 It elaborates on how 'pranava mantra' stabilize a positive energy in this contemporary life situations. Dr. Rekha G.S. is working as an Assistant Professor in the Department of Vedanta, Sreesankaracharya University of Sanskrit, Thiruvananthapuram R.C. She has published ten articles and presented many papers in International and national Seminars.